Morlam is a type of song known to Laos and the northeastern Isan province in Thailand. The term means expert song or singer, and the music typically features theme of unrequited love set against a backdrop of hardship in rural Isan and Laos. The performances are a central feature of many festivals and ceremonies in these areas. Moreover, the genre has gained some prominence outside both Laos and Isan due to the movement of migrant workers, who regarded the music as a meaningful cultural link with the homeland they have left behind in search of fortunes elsewhere. So significant is this cultural form to Thai culture that a new museum is being set up to honour this art form. Initiated by Jim Thompson Farm, the Morlam Museum will open in Najorn Ratchasima, the northeast part of Thailand. This talk reflects on the research that went into setting up the museum. Rather than view Morlam as a distinctively local form of music, which developed independently from outside influence, curator Grithidya Gaweewong focuses on the lesser known Morlam legend, Aswin Srimok, a proponent of Lao wiang Morlam, who incorporated Likey (or Dikir) into the Morlam form. This talk will trace the history of Morlam as a migration of sounds. It locates Morlam within two traditions, Lao’s tradition of Buddhism and Malay Peninsula”s Dikir tradition, which came to the Siamese court in the late 18th century. Gridthiya Gaweewong founded arts organization Project 304 in 1996, and is currently Artistic Director of the Jim Thompson Art Center, Bangkok. 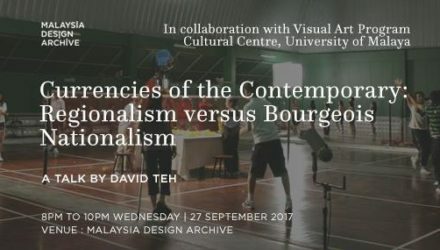 Her curatorial projects have addressed issues of social transformation confronting artists from Thailand and beyond since the Cold War. Gaweewong has organized exhibitions and events including Underconstruction, Tokyo (2000 – 2002), Politics of Fun at the Haus der Kulturen der Welt, Berlin (2005), the Bangkok Experimental Film Festival (1997–2007) (co-founded with Apichatpong Weerasethakul)}, Saigon Open City in Saigon, Vietnam (2006-07) (with Rirkrit Tiravanija) and Unreal Asia, Oberhausen International Short Film Festival (2010). Gaweewong is on the curatorial team for the 2018, 12th Gwangju Biennale, Imagined Borders. We hosted Dr. Gridthiya Gaweewong’s, director of the Jim Thompson Museum in Bangkok, talk at Malaysia Design Archive on Morlam: Tracing A Migration of Sound. The talk turned out to be one of the most lively presentations, in which she makes a case for Morlam’s (a type of song from Isan and Laos) dual genealogy – Laos Buddhist tradition and Malay Likay (Dikir). Through an evening of listening to music together, we traced the history of Dikir all the way back to the Jewish chanting rituals, and how it influenced Sufism’s zikir rituals, that then became dikir. 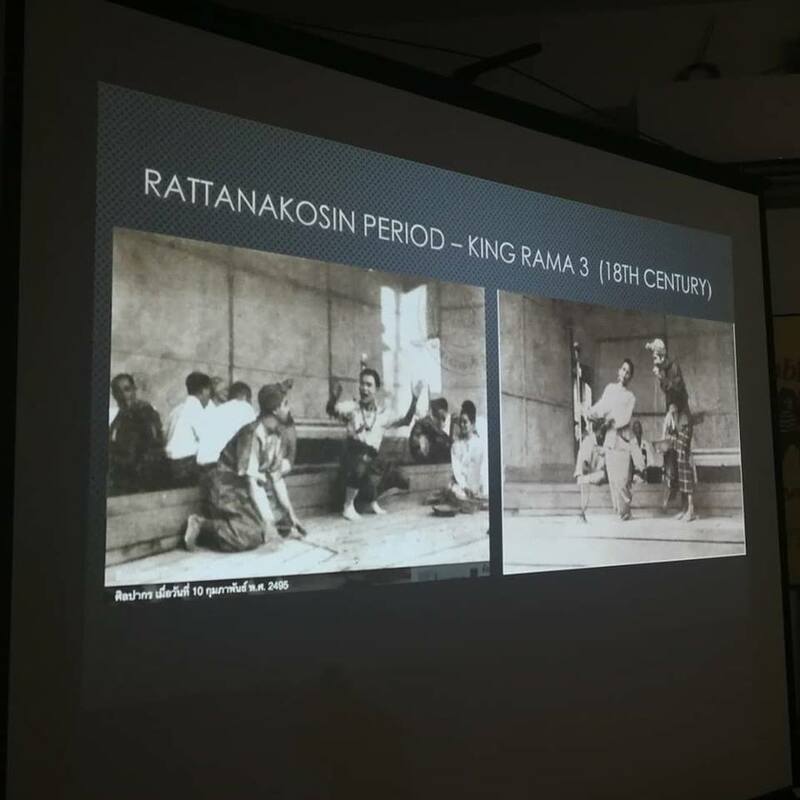 Through the annexation of Patani into the Siam Empire, Malay slaves were brought into the court of Rama III, this resulted in dikir’s (likay) circulation within central Thailand, where morlam legend Aswin Srimok from Laos first encountered it. Drawing on both Laos Buddhist/animist forms of chanting and Dikir produced Morlam, which later on became the most popular form of music for the working-class communities of the northeast province of Thailand and Laos, and now has global resonances because of the circulation of Isan migrant workers all over the world.